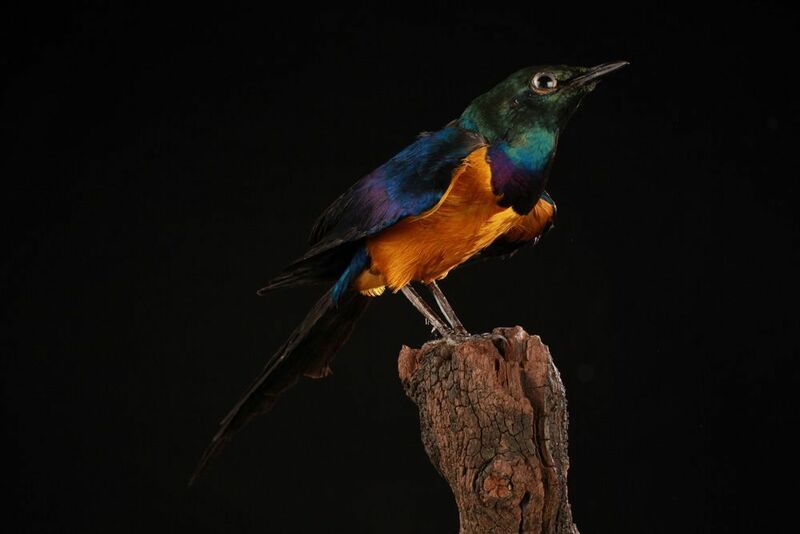 The bronze-tailed starling is also known as the bronze-tailed glossy-starling. This straling belongs to the Sturnidae family. It is found in Ethiopia, Somalia, Kenya and Tanzania where it lives in grasslands and savannas. Adults can grow to 30 cm long and weighs around 60 gr. 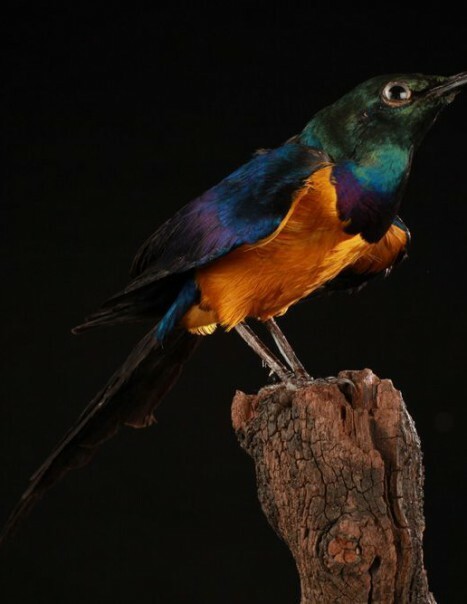 Their wings and back are iridescent blue while the top of the head and neck are green–blue. Their cheeks and chest are purple while the belly is yellow gold. Its irises are white and the color of its long tail is metallic blue. Both sexes are similar and the young is duller than adults.